We provide our clients with Heavy Duty Corrosion Inhibitor, which reduces damaging effects of corrosion on machines and equipment. Formulated using quality chemicals, these corrosion inhibitors are safe to use and in compliance with set industry standards. We use tamper proof packaging material to ensure intact delivery of corrosion inhibitors to clients. We are a dealer of Condensate Corrosion Inhibitors at punjab, himachal pradesh, jammu, chandigarh, una, solan, panchkula, mohali. Corrosion is a process that takes place when essential properties within a given material begin to deteriorate, after exposure to elements that recur within the environment. - SRW-230 is a revolutionary 100 % water soluble VPI / VCI concentrated liquid formulation based on the chemistry of Volatile Corrosion Inhibitor (VCI) and Contact Corrosion Inhibitor (CCI). It available in borate nitrate based & borate free formulation for the closed loop systems. 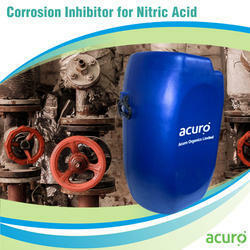 It is specially formulated with new generation chemicals to control corrosion of multimetal systems. 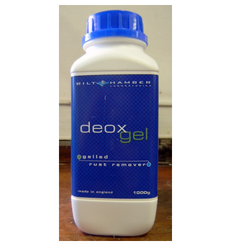 It also contains low molecular weight, multifunctional polycarboxylates alongwith organic antiscalent to efficiently control corrosion and scale deposits on heat transfer surfaces.